It takes more than competitive fuel prices to run a successful service station. Carson’s Retail Services are more than just fuel. We are your partner from business inception, through day-to-day operations, and future growth. As your full-service gas station consultant, fuel supplier, and in-house compliance officer we take your success to heart. 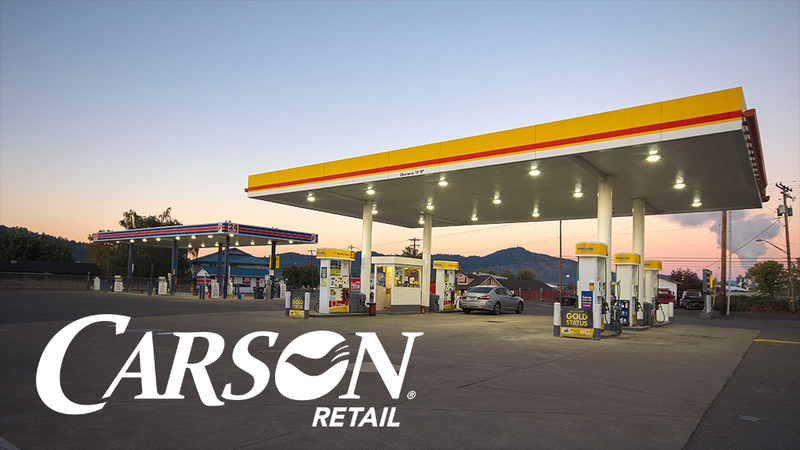 Carson owns over 50 retail locations of our own, managing the full operations of 17 of those stations. We understand what it takes to maximize your retail profitability. Deciding to build a business from the ground up, or looking for the best contract renewal incentives? With Carson, you’re part of the family. Carson is big enough to deliver the top industry benefits but small enough to offer hands-on, family-run service. Carson knows fuel. Rely on the most competitive fuel prices from our top brands. We are in daily contact with our provider and the market to deliver you the latest profitability programs and resources. As an Original Trusted Carrier Partner with The Oregon Department of Transportation, Carson is dedicated to excellent service, reliability, and safety. The partnership requires our fleet to be equipped with transponders and to have an exemplary record of compliance with registration, tax, and safety requirements. If you’re ready for a retail gas station partnership that helps you pump more fuel, be more successful, and realize more profit, contact our Brand Territory Manager, Laura Hartner today at 503.471.4374.